I moved slowly toward these bull elk in the pre-dawn darkness as they grazed, only advancing up the mountain when a wind gust would mask the sound of my approach. 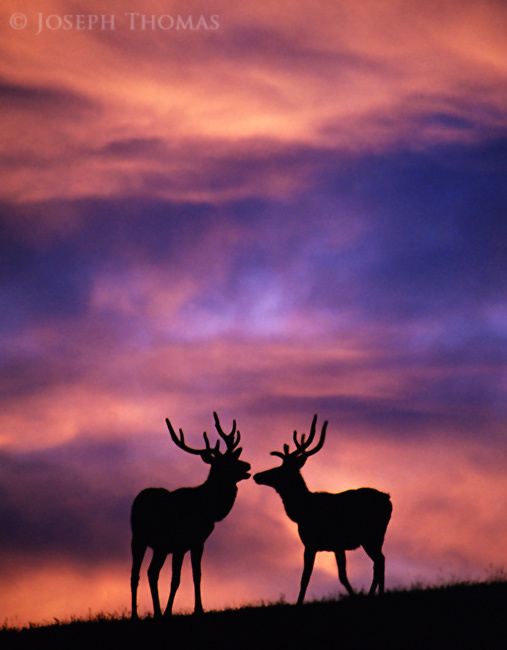 Once in position, I exposed for the peach-colored clouds, allowing the elk to register as silhouettes. When they finally looked up, I was ready to capture this extraordinary moment.